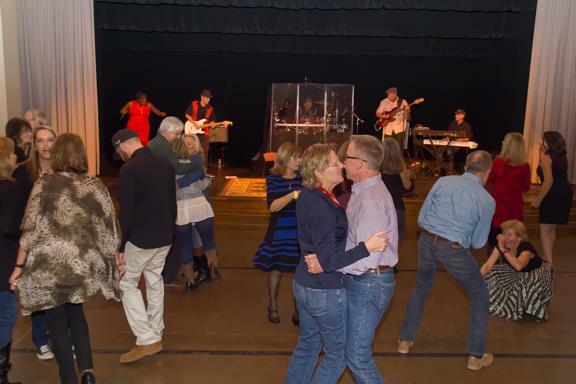 The dance floor was occupied all night long at Blues and Brews for Veterans on Nov 5th. The program included a memorial, a ceremony for MIA/POW, acknowledgement of the Veterans in attendance and short speeches by the primary beneficiaries of the evening, Blue Star Moms- Rolling Hills, Wheelers for the Wounded of Ca. and the Veterans Memorial Park-El Dorado Hills project. Next, The Used Blues Band got everyone on the dance floor. After a brief intermission, Tia Carroll entertained everyone with blues, R&B, Soul, Funk and great classics like "At Last". The Club wishes to thank all who attended, our sponsors, Mraz Brewing Company, Western Sign Co. for donating our raffle grand prize, and Veterans everywhere for your service.